We rent variable ND filters from Promaster in 77mm as well as 58mm sizes, plus step-up rings to fit other thread diameters. 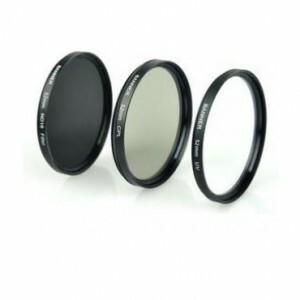 Variable ND filters have become popular with DSLR and run-and-gun shooters who want more control over their exposure settings. They use polarization to work their magic, and a simple rotation allows a full range of light reduction, about 1 2/3 stops to 8 stops without much artifacting. 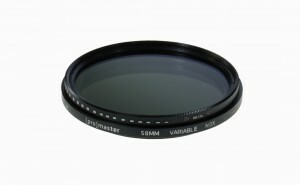 They have a few drawbacks, but we confidently use these on medium to small budget shoots all the time without regrets. We haven’t noticed any color shifting or uneven darkening under normal use. Check out our blog post for comparison shots. If we have a camera assistant and time to set up shots, we usually prefer classic ND filters, since they do the same job but without polarizing the light, usually with one less piece of glass, and can be as subtle as one stop. If you’re running inside and out and your camera doesn’t have built-in ND filters, the variable ND can mean the difference between getting the shot and missing it completely. $12/$24/$36 for 1/3/7 day rentals. Call or email for availability.